Emerson, Lake And Palmer frontman Greg Lake died Wednesday at the age of 69. Lake’s passing comes just nine months after ELP keyboardist Keith Emerson’s March 10 suicide from a self-inflicted gunshot wound at the age of 71 at his home in Santa Monica, CA. “It is with great sadness that I must now say goodbye to my friend and fellow band-mate, Greg Lake,” said drummer Carl Palmer. “Greg’s soaring voice and skill as a musician will be remembered by all who knew his music and recordings he made with ELP and King Crimson. I have fond memories of those great years we had in the 1970s and many memorable shows we performed together. Emerson and Lake recruited Palmer from Atomic Rooster and the new supergroup’s performance at 1970’s Isle Of Wight festival secured them a record deal with Atlantic Records, and they issued their self-titled debut album in November of that year. ELP’s first seven albums reached the UK Top 10, with 1971’s “Tarkus” hitting No. 1 and 1972’s “Trilogy” and 1973’s “Brain Salad Surgery” peaking at No. 2 in their native land. 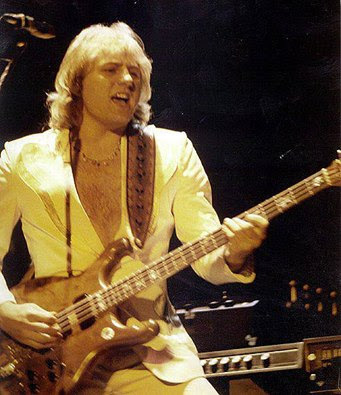 After ELP disbanded in 1979, Lake launched a solo career before he and Emerson formed Emerson, Lake & Powell with former Rainbow drummer Cozy Powell in 1985 and released a self-titled album in 1986. ELP regrouped in 1991 to tour and released a pair of records – 1992’s “Black Moon” and 1994’s “In The Hot Seat” – before shutting things down for a second time in 1998. In 2010, Emerson and Lake toured North America for a series of "An Intimate Evening with Emerson and Lake" concerts and the full ELP lineup managed a one-off reunion that same year at London’s High Voltage festival to commemorate the band's 40th anniversary.